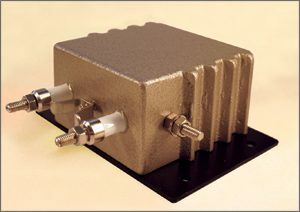 All CTS Fixed Station Balun Transformers are housed in purpose designed heavy duty aluminium casings with either solid impregnation or silicone oil cooling. Any combination of power and impedance ratio can be supplied across the frequency spectrum 10 kHz – 32 MHz providing the most comprehensive range available to antenna designers. Further specifications available on request. Select a technical specification for the following models on the left.